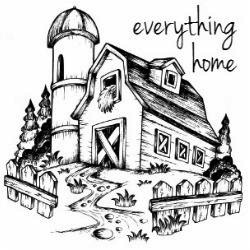 little white house blog: Everything Home Magazine - Issue 1 Release!!! Happy November! The day has finally arrived and our first issue of Everything Home Magazine launches today! I am so so so incredibly excited to share this with you guys.. The editorial team has worked tirelessly to make this launch perfect. Collette, our Chief Editor, and Daraka, our Managing Editor, have spent countless hours and sleepless nights perfecting every page to ensure the articles are a beautiful reflection of our featured makers. I vividly remember the moment I was invited to participate in this amazing passion project. An inclusive place of support and encouragement created to showcase the talents of countless creatives and story tellers. How could I ever turn down the opportunity to be a part of something so special? It is an honor to be a part of this team. Stop by Spindle & Rye to read a little more about the team family and our journey to bring the magazine to life. The magazine will be easily accessible to everyone. To ensure that you never miss an issue you can go to our website and subscribe to have our newsletter and monthly URL delivered directly to your inbox! It's free! And, we're excited to announce that it will also be available through Amazon via the Kindle app in December. The app is available on all devices and will allow you to access each issue at anytime without an internet connection! 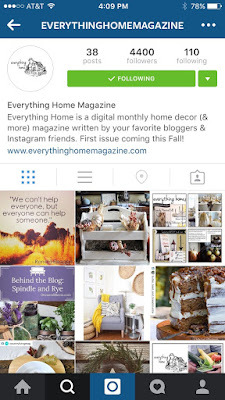 Each editor will share the issues when they release on the 1st of every month and the links will also be available on all of the Everything Home Magazine social media profiles, as well. If you'd like to be featured in the future we would love for you to submit your projects by using our column hashtags on Instagram! Each editor has a unique set of talents and perspective to bring to the table and we are always scouting for individuals and small businesses to highlight. I encourage you all to tag your photos and to scroll through the hashtags for endless inspiration! From the bottom of our hearts - Thank you for your support. Enjoy reading and please share your thoughts with us! We would love to hear what you think about our first issue! This is such an amazing post Lauren! Thank you so much for sharing and being on the team....love you sister!